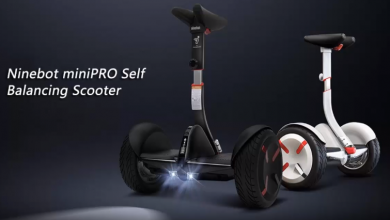 Xiaomi has launched too many smart products, and it becomes more and more complicated for a regular customer to understand why they are called so and what features they come with. Today we are going to talk about one of them and disclose some important information about it. Today we are looking at the Xiaomi Smart Scale. The reason why we have decided to dig deeper is the discount it has got. You can get your hands on the Bluetooth variant of this smart scale for only $45.99. If you think it’s too much for a scale, keep on reading to understand why it is called in this way and what you will get due to this amazing product. By the way, there is also the WiFi version announced recently, but it hasn’t gone on sale yet. The selling point of the Xiaomi Smart Scale is the BIA technology. Let’s figure out what it is. The human body is composed of four main components – water, fat, protein, and minerals. Having a moderate amount of each component is important for a healthy life. BIA (Bioelectrical impedance analysis) is the most practical method to measure ration between them. For example, BIA sends electrical currents throughout the water in the body and measures the amount of resistance (aka impedance) as it travels. Therefore more water leads to lower impedance. Say, if two people have the same weight as well as the same height. But one of them has a higher amount of muscle mass than the second one. As muscle cells hold more water than fat cells, electrical currents can more easily flow through the first man’s body. Thus the impedance data will be lower. BIA can determine the volume of a person’s total body water. However, since impedance is derived from factors such as length and area, different sizes would yield drastically different impedance values. So our body can be divided into five cylinders with different lengths and widths. Therefore, measurements should be segmentally analyzed. For example, trunk accounts for around 5% of the whole body impedance, but it’s responsible for about 50% of the whole body mass. So even a small change of 1-2ohms in the trunk impedance value can significantly alter the whole body lean mass. 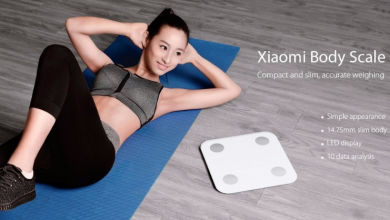 Thanks to abovementioned technology the Xiaomi Smart Scale can measure a total of 10 human data concerning figure, weight, muscle mass, basic metabolism, bone mass, BMI, water, visceral fat level, body score, and fat rate. But Xiaomi has made some enhancements. Anytime you check out your weight, the data is recorded in your Mi app account. Therefore, you can get reports on how your weight has changed. But as the scale is not acquired for a single person only, Xiaomi has customized the software in the way to record up to 16 persons’ data.